Have you used CrazyLister? Write a review and share your thoughts (you don't have to register first). CrazyLister is an eBay listing solution that helps sellers create professional and mobile responsive eBay listings without knowing any code or design. CrazyLister is compliant with all the new eBay policies (active content ban, links policies), and has the ability to apply a template design to thousands of listings automatically. Have you used CrazyLister? Write a review here (you don't have to register first) or see all 79 reviews. See all 7 news items about CrazyLister. Want to talk about CrazyLister? Start a new discussion (you don't have to register first) or see all 8 related posts. Multichannel ecommerce tool Ecomdash has added support for eBay listing design tool CrazyLister. CrazyLister offers over 200+ professional, high-converting eBay templates that are mobile-responsive, and compliant with eBay's active content policies. The integration saves sellers time by automating the process of listing to eBay using these templates. New warehouse functionality to align warehouses to specific storefronts, and schedule order exports to warehouses. The ability to get orders and send tracking data via SFTP, to support selling on Groupon, Houzz and more. Improved tax tracking automation with VAT exporting to QuickBooks. Expanded API calls to provide access to the full list of SKUs within a kit. Multichannel management software Kyozou is now integrated with eBay listing design tool CrazyLister. CrazyLister provides a drag-and-drop editor to create a customized eBay listing template with no coding experience required. CrazyLister templates are mobile responsive and compatible with eBay's upcoming ban on active content scheduled to come into effect on June 1st. Kyozou provides the ability to bulk revise listings, to replace any pre-existing active content with a compliant design created in CrazyLister. CrazyLister's templates are also designed to increase sales, and their research has shown that their designs have a 10.5% higher conversion rate. Kyozou users can get a lifetime 20% discount off CrazyLister. Multichannel management software Linnworks is now integrated with eBay design tool CrazyLister. CrazyLister creates HTML listing templates which can be pasted directly into Linnworks to be used in eBay listings. CrazyLister templates are mobile-optimized and compliant with eBay's new "active content" policy for listings. CrazyLister are currently offering Linnworks users a free template designed by a professional designer. More information. 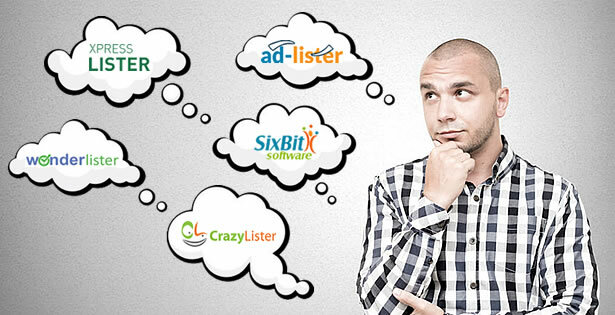 eBay listing tool CrazyLister has raised $600,000 of venture capital investment from Altair VC. CrazyLister has now hired a new development team, and relocated from Haifa to Tel Aviv. A "mobile view" editor giving control of how listings will look on mobile devices. Integration with eBay so users can list and revise listings directly from CrazyLister. Educational videos to help grow eBay sales. CrazyLister is used by 27,000 sellers from more than 100 countries, who have created over 2 million listings using the tool. How Can eBay Improve Things for Sellers? The team from CrazyLister have kicked off a global survey of eBay sellers, asking "If eBay could change one thing to improve the sellers' experience, what would that be?" You can answer the survey here. CrazyLister co-founder Victor Levitin said, "We are going to make sure that decision makers at eBay get the results of the survey." Writing on their blog, Levitin continued, "eBay's new management declared a laser focus on the people who made it what it is today – the small and medium businesses – all of us. I truly believe that we can and will make a difference as a community." Do you have news about CrazyLister? Let us know. Want to talk about CrazyLister? Start a new discussion (you don't have to register first). CrazyLister - An Easy Drag 'N Drop Editor for eBay Listings! Viktor Levitin and Maxim Godin were full time eBay sellers. Not only that but eBay awarded them with a certificate of achievement for outstanding sales. Now they’re looking to help other sellers and their first product, Crazy Lister, aims to help you to create outstanding eBay listing descriptions at a fraction of the price of a pro listing template. Viktor tells us “I don’t know HTML nor am I skilled in web design. When I was working as a seller on eBay, I had to spend days watching photoshop instructional videos. Through meticulous work and with a lot of blood, sweat and tears, I managed to revise the listings. Suddenly I was struck by a crazy idea: there should be an easier way to create professional, aesthetic listings without extensive knowledge in web design. The solution was with a lot of thought, expertise, and a dedicated team of optimization specialists, CrazyLister was born. CrazyLister is a super easy drag 'n drop editor for eBay sellers. It allows any seller with zero coding skills to create professional, 100% customizable listings. Making a change to a listing takes only minutes or seconds, compared to hours of coding. And it gets better: if you want to add something like a YouTube video to your listing you simply use CrazyLister’s editor to drag the video icon onto your design template and input the URL address of the video. Try comparing this to manually copying a piece of code from YouTube and finding the correct location in the HTML code of the description! CrazyLister enables you to produce professional looking listing templates so that you can cut and paste the code into the listing description box on eBay’s Sell Your Item form (or your preferred listing tool). And you can do this with zero knowledge of HTML, all you need to know is CTRL C to copy the code and CTRL V to paste the code into your eBay. Library of over one thousand listing design themes with zoomable images and a cross promotion feature. Ready-made eBay listing templates with multi-account support and image hosting. Users can insert their own logo, edit the header images, add policies for shipping, returns, payment and any other information required. Formerly Listing Factory. WidgetChimp allows you to remote control the design, layout and features of eBay listings using a fully responsive eBay listing template builder. Use a drag and drop eBay template builder to select from over 24 widgets, change colour schemes, and rearrange listing templates at any time. Also included is negative and neutral feedback alerts, standalone widgets to show customer reviews in eBay listings and more.